Win your choice of four $700,000 lifestyle packages! Are you looking to make your 2019 one to remember? Imagine having the financial freedom to enjoy a lifestyle of leisure. Or treat yourself to that dream car, motorhome or holiday you’ve always wanted. With The Deaf Lottery Australia, you can win your choice of four incredible first prize options, valued at $700,000 each! Option 1: Live life in the fast lane with your choice of any vehicle (minimum value $30,000)! And the remaining prize funds can be taken out in gold bullion (maximum $650,000) and cash (maximum $20,000). Option 2: Kick up your feet or get exploring, with a Getaway Lifestyle package! You get a motorhome or caravan & 4WD package of your choice (minimum value $80,000), it’s perfect for travellers at heart. The remaining prize funds are available in gold bullion (maximum $600,000) and cash (maximum $20,000) to keep the adventure going and going! Option 3: Does the dream of your own home seem distant? Here’s your chance to win this amazing Investment or Lifestyle package with The Deaf Lottery Australia! Build your dream home on your own land or buy land as part of one of the packages offered by Metricon and its partners (minimum value $80,000). With any funds left over – available in gold bullion (maximum $600,000) and cash (maximum $20,000) – you could design, furnish or take a holiday – it’s up to you! Option 4: Design Your Own Lifestyle package offers the ultimate choice of financial freedom and leisure. This option lets you choose from any combination of motor vehicles, marine craft, travel vouchers, farm machinery (minimum value $80,000), gold bullion (maximum $600,000) and cash (maximum $20,000). The choice is yours! Winner’s story – Draw 173. A woman from Capalaba, QLD was shocked to find that the calls she intentionally missed would change her life forever! The Deaf Lottery Australia were trying to get through to let her know that she was the lucky winner of The Deaf Lottery Australia draw 173! The lucky winner now had to decide, which of the amazing prize options she would be taking home. Not only had she won a mind-blowing $650,000 first prize, but she also won a bonus $15,000 gold bullion for being a $20 ticket book buyer. 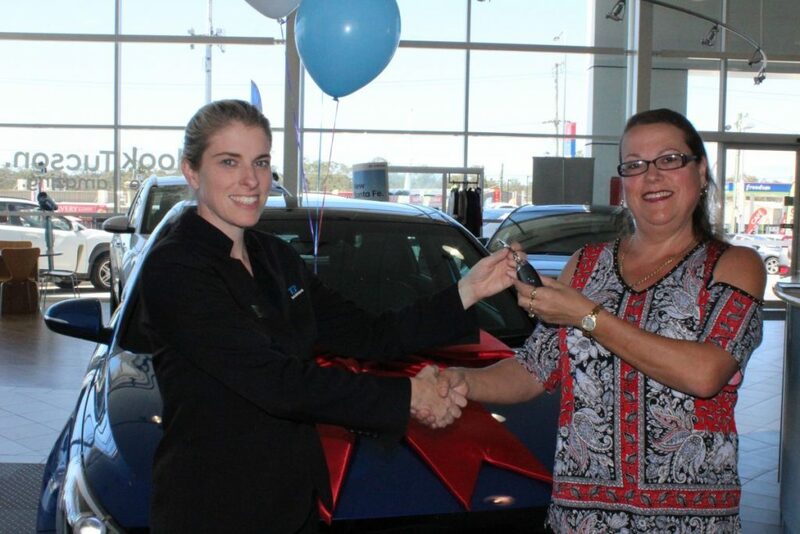 Finally, the woman chose a new Hyundai car, gold bullion and cash! The winner revealed that she was sharing the moment and “sitting in the meeting room right now with my co-workers listening”. Even greater, the win couldn’t have come at a better time. She had 7 weeks of long service leave to look forward to and enjoy her prize! The woman was also happy that her ticket purchase helped raise funds for the Deaf Services Australia. Congratulations to the lucky winner and the other 179 supporters who also won prizes in draw 173! This Deaf Lottery Australia draw has now closed. However, you can always enter a charity lottery draw on Oz Lotteries for your chance to win a stunning prize and help support a great cause. The Deaf Lottery Australia New Draw Is Here!